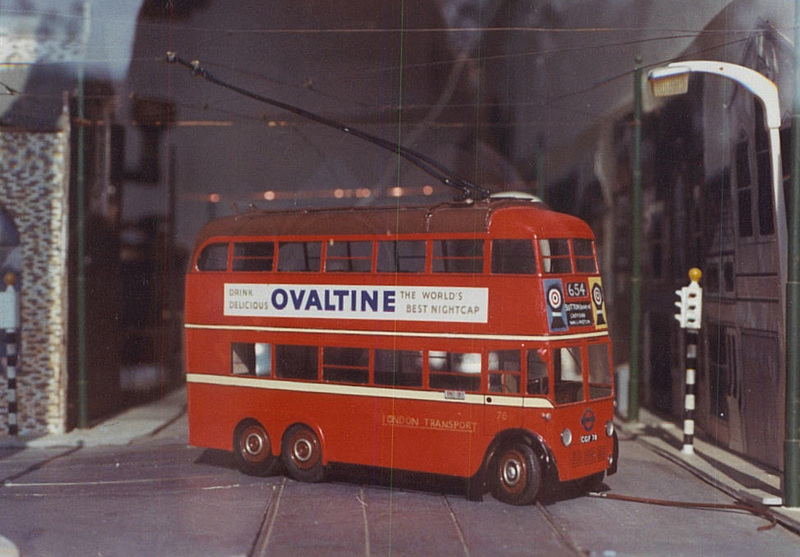 This site proudly presents a selection of pictures from Terry Russell's private photograph album showing a selection of models that he has built over the last half century! 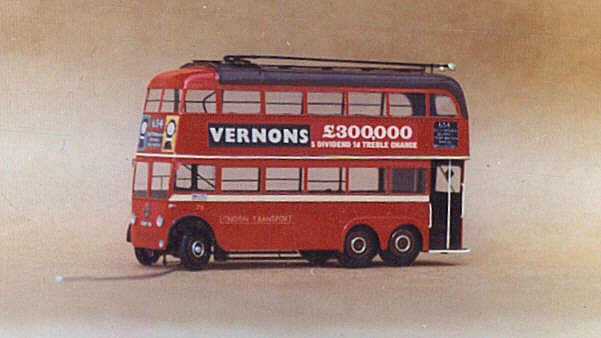 A National Service posting [RAF experience as it would be called today] to Karachi, Pakistan gave Terry the inclination, and time, to start modelling [the first being a Blackpool 1952 "Roberts" car] and he has never stopped producing models since then. 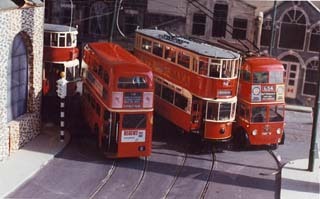 London Transport collection. 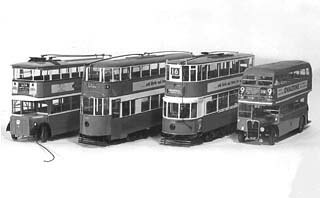 Left to right, E/3 tram No. 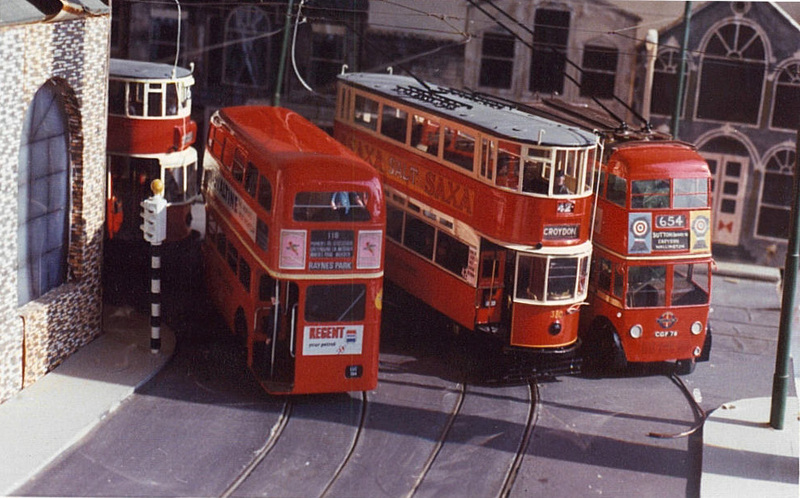 1905, RT2056 bus, Rehabilitated ex Croydon Corporation E/1 tram No.380 and B1 Trolleybus No.78 all scratch built around 1962 and still running in 2000 except the RT which is static. 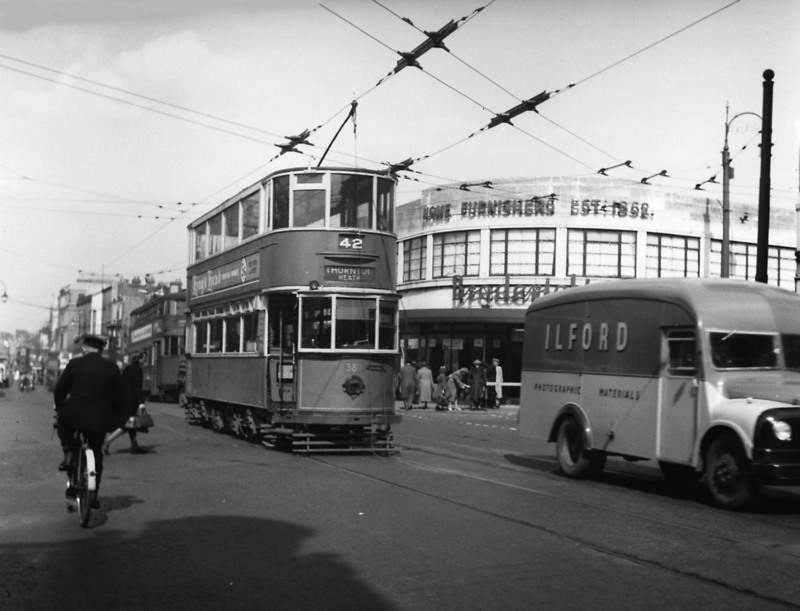 A picture of this tram at West Croydon in 1951. 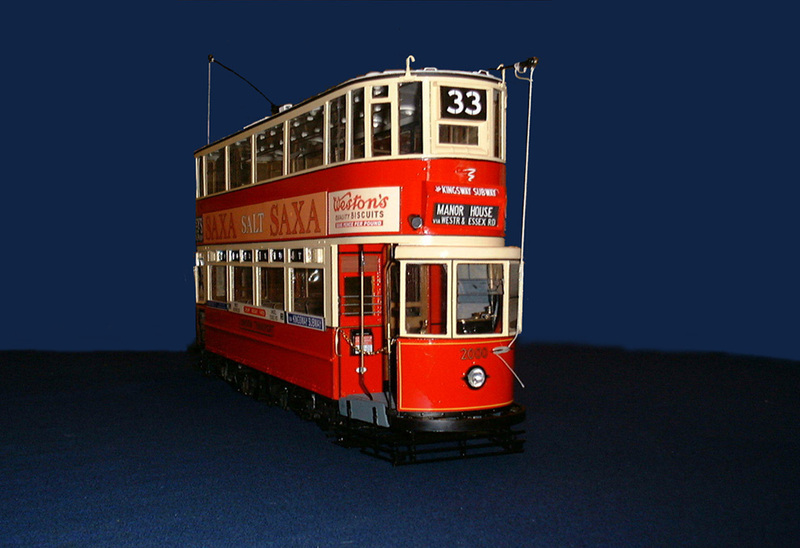 A 1/16th scale working model of a London Transport, ex London County Council Tramways 1930 vintage class E/3 tramcar. 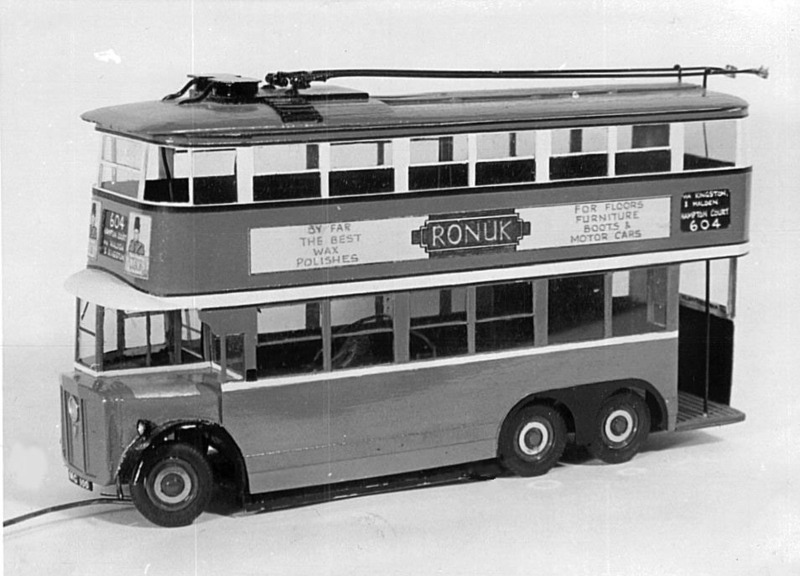 It is in the form that it ran in 1938 with white lead painted roof and unshielded headlamps both of which disappeared as soon as the war started in 1939. Both the roof and gleaming lights could be easily seen from the air. 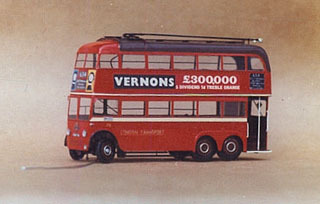 This model won the "Best in show" cup at the Model Tramway Festival held in Manchester early in July, 2000. 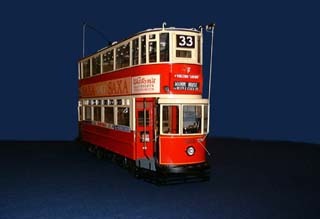 London Transport Class B1 trolleybus No.78 on my local route 654. 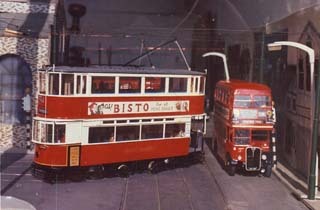 Motorised with 12v dc with power from the sprung overhead trolley booms. Steered by a sprung "feeler arm" out front locating on a 3mm raised kerb. 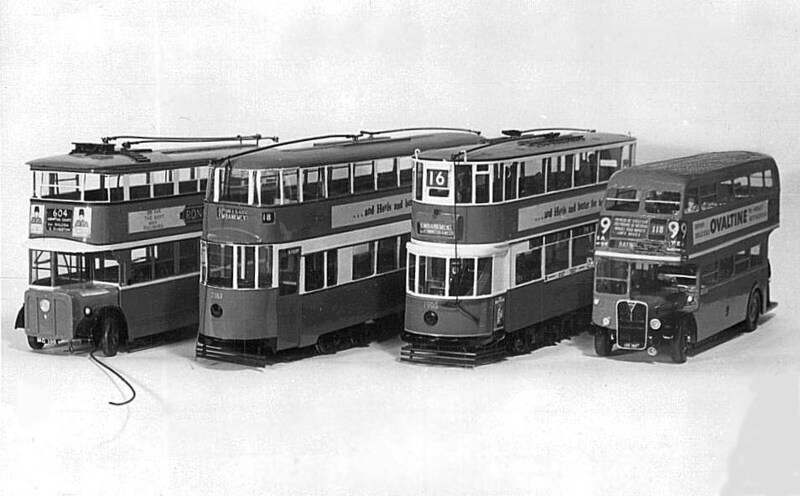 All the models in this series except TR33 are built to the scale of 1/43rd which is the old "O" gauge tin plate size. 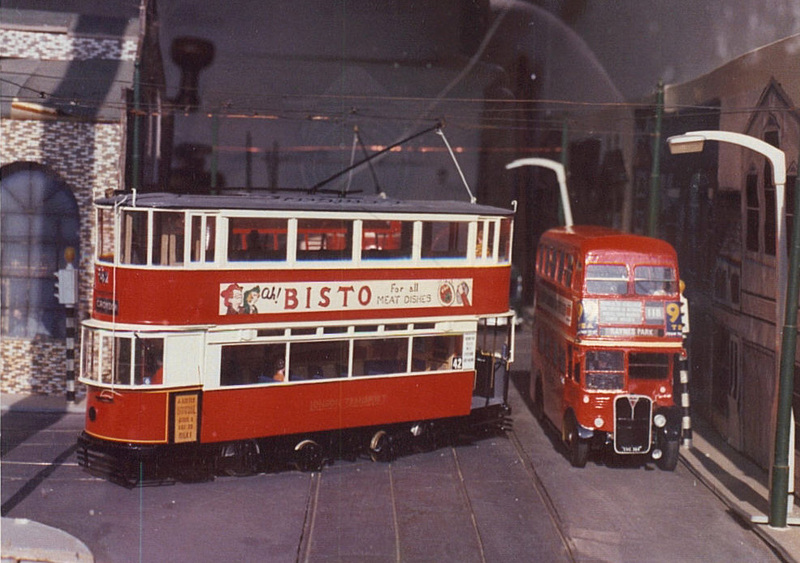 Another London Transport collection with a "Feltham" tram added to the scene, scratch built and motored using items still available from Terry Russell Trams. 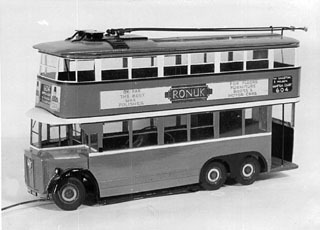 Trolleybus No.78 the prototype of which I was allowed to drive in Sutton depot yard. "Diddler" No.4 ready to roll. The tyres were from racing cars and now a treasured item. 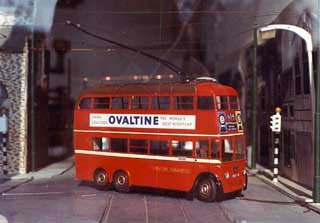 I did experience steering problems after a lot of exhibition work and found I had worn the front tyres out! London transport ex London United tramways class A1 "Diddler" trolleybus with its chassis showing the modified Airfix slot racing Ackerman steering assembly and sprung steering arm. 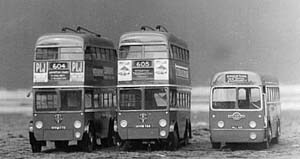 The middle axle is motored [30:1 worm drive] and the back axle floating thus effectively making it a 2 axle so the bus does not loose traction on a hump back bridge. 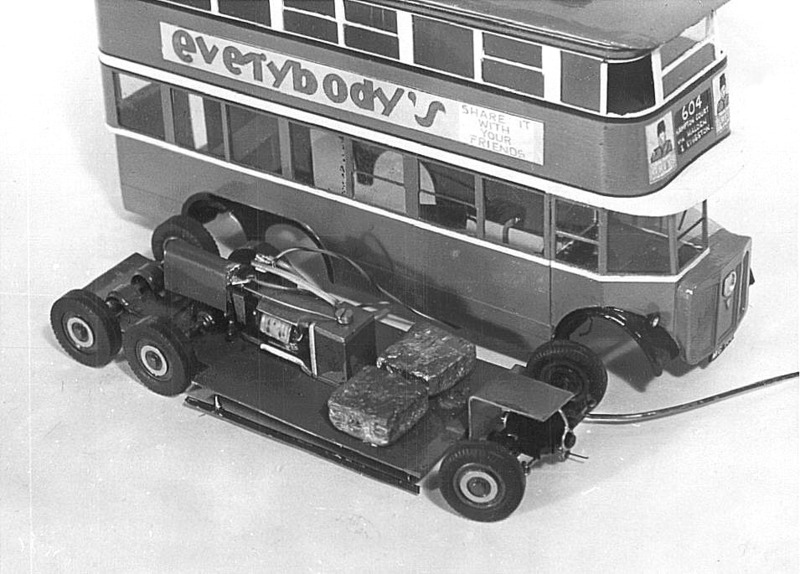 The lead weights are to ensure that the front tyres do respond to the feeler arm. who would welcome your observations and comments.